MSI has announced Sea Hawk GTX 1080 graphic card with Corsair liquid cooling. 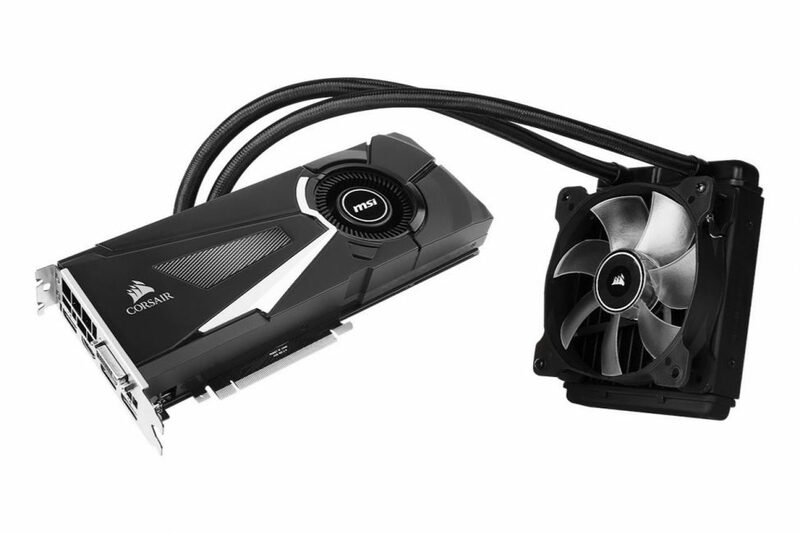 MSI teamed up with Corsair to introduce a liquid-cooled edition of the card. The MSI Corsair GTX 1080 card is overclocked to 1847MHz, compared to the 1080’s regular boost speed of 1733MHz. Nvidia GeForce 1080 is a hottest graphic card in the market right now. MSI SeaHawk GTX 1080 with Corsair liquid cooling squeeze a bit more performance out of the card by combining superior cooling and a overclocked Nvidia 1080. The price of the graphic card is not revealed yet. Nvidia announced GTX 1070 and 1080 graphic cards with half the price of Titan X.